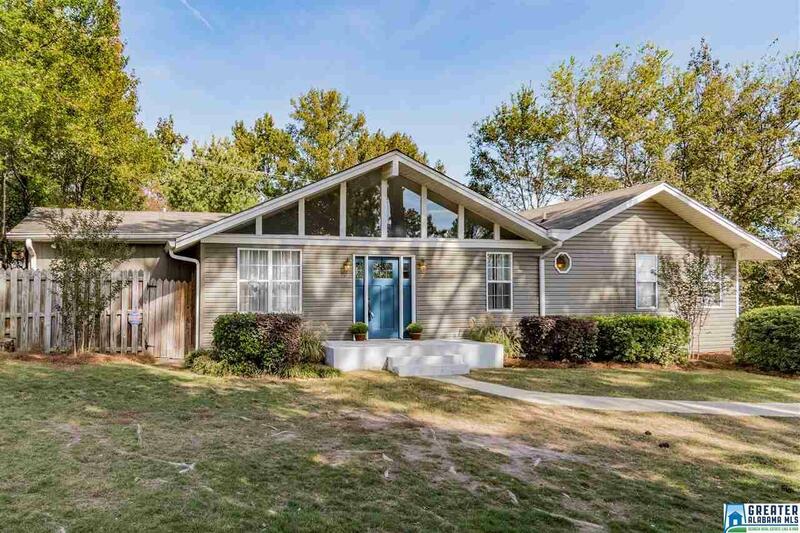 1628 Stonewall Dr, Vestavia Hills, AL.| MLS# 832539 | Richard Jacks UABLIVING.com 205-910-2297 | Birmingham AL Real Estate | Contact us to request more information about our Homes for Sale in the Birmingham AL area. One level living in the heart of Vestavia Hills. Beautiful and Welcoming 4 bedroom/3 full bath home features lovely curb appeal, flat front yard with landscaping and new front porch perfect for morning coffee. Enter into large living room with tons of natural light from the large windows across the top, huge den/family room, beautiful open kitchen includes custom cabinets, tons of counter space, tile backsplash, stainless appliances, wall oven, gas stove, breakfast bar that easily seats four, eat in area, large pantry and access to the wonderful deck and backyard. Master suite includes sitting area, walk-in closet, master bath with jetted tub, beautiful standing tile shower and separate vanities. French doors leading from the master to your own private deck. Three additional bedrooms and two full bathrooms. The back yard is a perfect retreat. You will love entertaining on your huge deck with built in bench seating, built in fire pit and privacy fence. Features gorgeous Hardwood floors. Driving Directions: I 65 To Exit 15 Toward Birmingham, Take Exit 252 Columbiana Road. From Columbiana Road, Take Left On Stonewall And The Home Will Be On The Right.